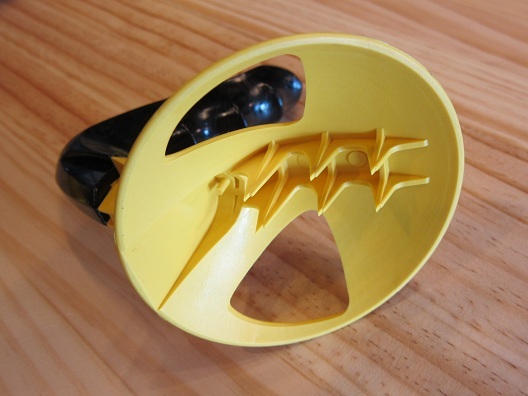 For this week’s review I was sent the Grillion from Frances Carlson at Product Prophet, Inc. 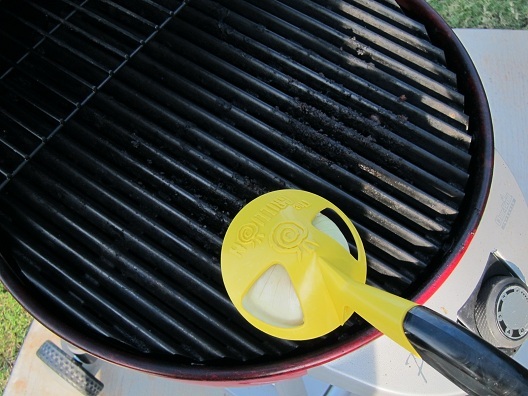 The Grillion is an American Made hard plastic grill tool that uses the the acids and enzymes naturally found within an onion to clean your grill grates. There were three items included in the package that I was sent. 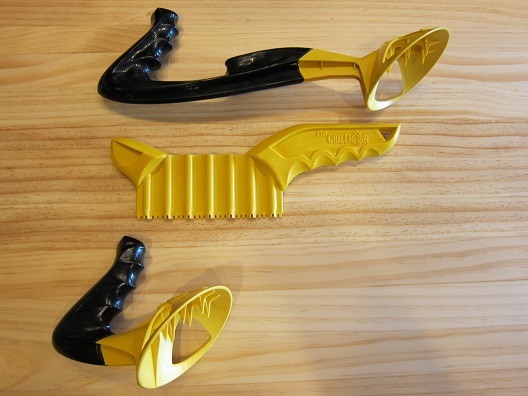 The first item was the Grillion, which is the larger of the two cleaning tools with a long contoured handle that keeps your hands away from the heat of the grill while cleaning. The second item was the Tailgater, which is a smaller version of the Grillion, is great for use while tailgating, camping or anywhere else you grill. The third item was the Onion Knife, which is designed to sever an onion, leaving it with a pattern that accommodates the profile of a typical grill grate. Once everything was out of the package I went outside and turned on the grill. 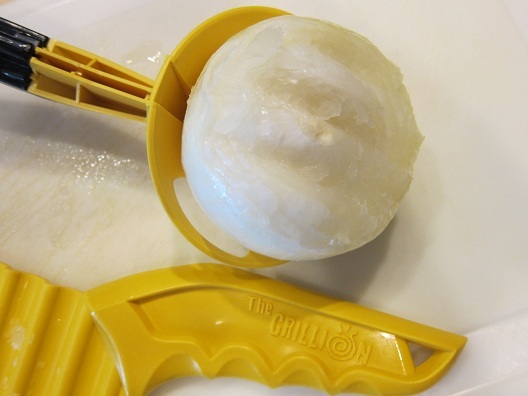 I then came back inside and cut the onion with the Onion Knife making sure to leave 2-3 inches of onion on one side. This will ensure that the onion is extended past the cleaning head in order for it to clean the surface of the grill grate. I then inserted the uncut side of the onion onto the yellow spikes of the Grillion which help to keep the onion held in place while cleaning the grill grates. After the grill was warmed up, it was time to try-out the Grillion. 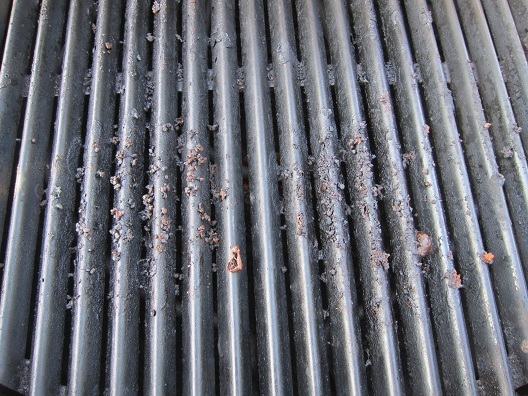 As you can see in the picture below the grill grate needed a good cleaning. I then held the Grillion by the handle and slid it back and forth across the surface of the grate with a little downward force. 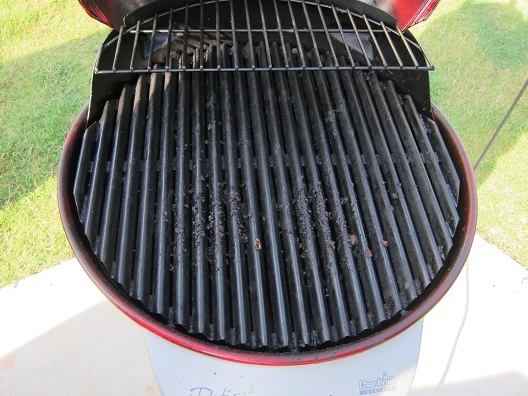 I did this for about 4-5 minutes until the surface of the grill grate was clean. First off I would like to thank my dad for not having OCD like I do about keeping my grill grates completely clean at all times, lol. I knew when I received the Grillion for review that I would be making a trip over to my parent’s house to test it out. As for the Grillion, I was really pleased with how well it worked. 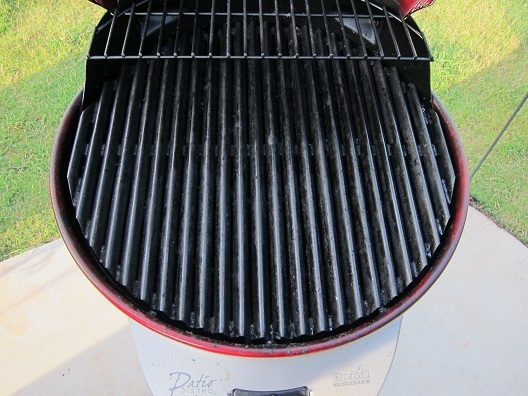 It was very easy to use and it did a great job of cleaning the grill grate. 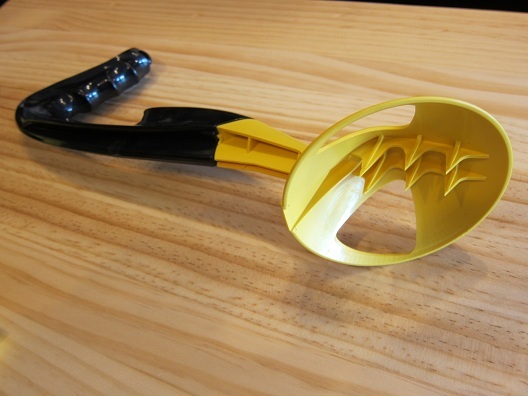 This is a great cleaning tool for those worried about the danger of using a grill brush with metal bristles. CBS News posted an article on their website about injuries from inadvertently swallowing grill-cleaning brush bristles. I have mentioned before that I have a 3 year old daughter and after hearing about the story above I decided I would no longer use a grill brush with metal bristles just to be safe. 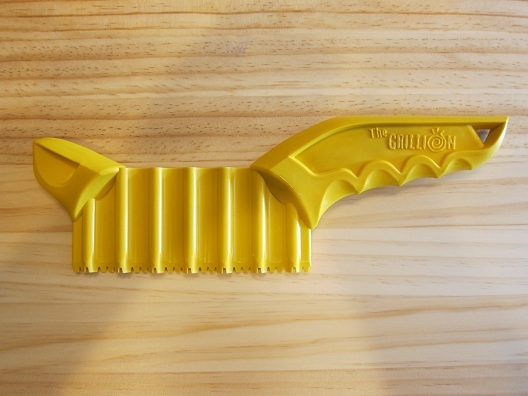 The Grillion may not be the cheapest grill grate cleaning tool on the market today, but to me it’s worth the little extra expense to have something that works great and at the same time is safer to use than a cheap grill brush with metal bristles. You can find a great deal on the Grillion here . For more information on the Grillion please visit their Facebook & Twitter pages as well as their Website. Great review Jay, after the news struck about the wire bristles falling out I was at a party where that actually happened – someone picked a bristle out of their teeth before the dangerous digestion part… our family is now “going wireless” too as far as grill cleaning! Thanks B! It’s some scary stuff for sure. 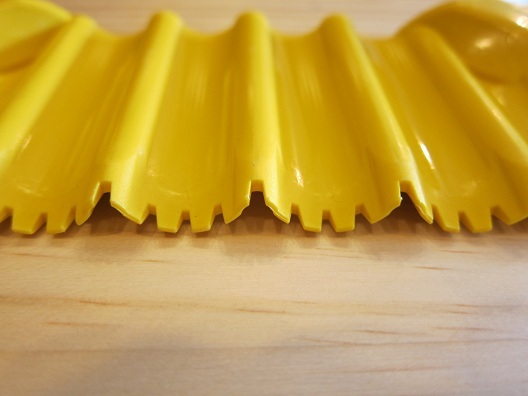 It’s better to be safe and use something like the Grillion and not have to worry about those bristles. I really like how well the Grillion worked. I just have to make sure to have some spare onions on hand since I grill a lot. Thanks for leaving a comment man! Thanks for leaving a comment Kevin! 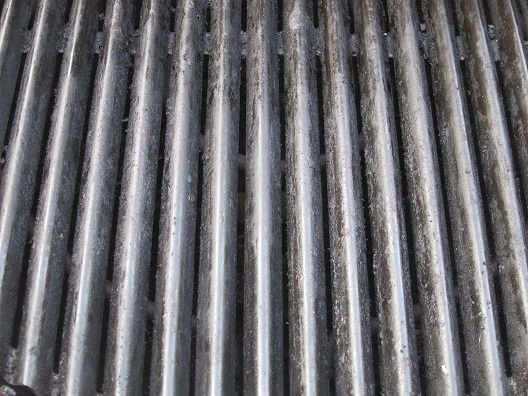 I hadn’t heard about using an onion to clean grill grates either, until I saw the Grillion online. The Grillion did a fantastic Job of cleaning my father’s grill. I got a Grand Gourmet long handled metal onion holder for $1.00 on clearance. Never knew you could use an onion until I was searching the Internet for a reason to by a new grilling tool. The instructions recommend high heat. Seems like the down fall of this one is that it is plastic? Thanks for leaving a comment Shawn! 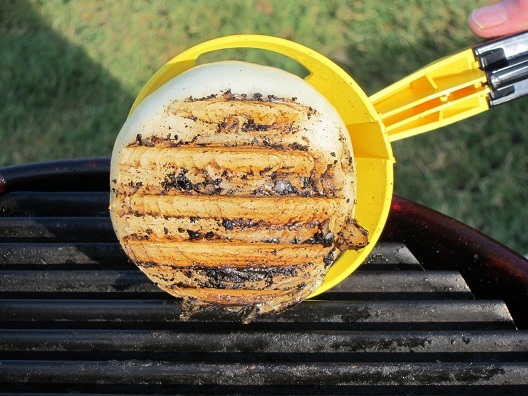 The onion sticks out far enough from the head of the Grillion so the heat from the grill doesn’t affect the plastic. All the grill brushes I’ve ever owned have had hard plastic handles and I’ve never had an issue with the plastic on those. I don’t see it being an issue with the Grillion when using it properly.